SMART Garden Rooms – The Perfect Work-Life Balance. 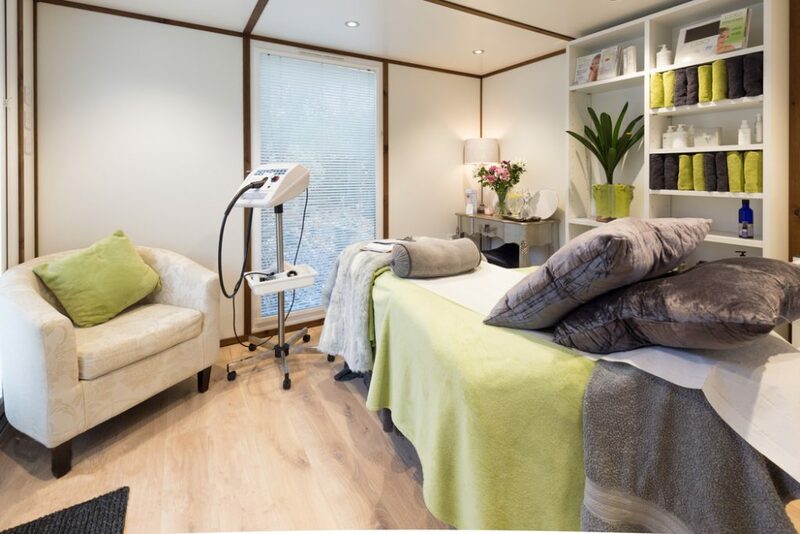 The transition from traditional high street therapy room to a SMART garden beauty therapy room is a leap that has proved to be a roaring success for many of our clients and has revolutionised the options open to business owners who use beauty therapy products and beauty treatment equipment. Leaving the house and entering your SMART garden workspace creates a mental and physical division from your house, allowing you to gain a ‘work-orientated’ state of mind. If you need to meet clients, welcoming them into a beautiful SMART garden room surrounded by beauty treatment equipment will create a far better impression than if you were to meet with them and use beauty therapy products on them in your house with all your clutter. The crisp lines and uber-chic interiors lend themselves beautifully to a tranquil sanctuary to operate from. Our SMART garden therapy rooms offer wipe-clean surfaces and the option of warm, inviting interior lighting – perfect for using relaxing therapies where a bright light may not be appropriate. Our contemporary clip-in frame blinds add privacy when needed. 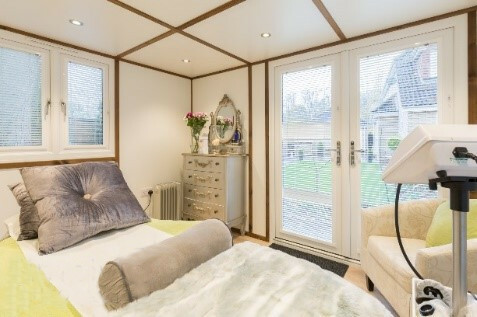 Every one of our 6 stunning SMART garden room ranges are fully-insulated on the floor, walls and ceiling, as well as offering warm and secure double-glazed windows and doors, ensuring all you’re the valuable beauty treatment equipment and expensive beauty therapy products are completely safe and secure in your garden.